Your website will be easy for search engines (and thus people) to find because we adhere to the most current web standards in website design, HTML and CSS coding. We create websites that are good looking, technically excellent and affordable. We allow the clarity of layout and organisation to convey a sense of coherence and ease-of-use – you can see examples of this in our portfolio of work. We’ll look at how your business objectives will be best achieved not just through the design of your website, but through website accessibility, usability, search engine optimisation, content management, hosting and ongoing support. And if that list was incomprehensible to you, don’t worry, all is explained by us – just get in touch. As a small website business and Website Design Melbourne agency, you’ll find our website design prices are very competitive. 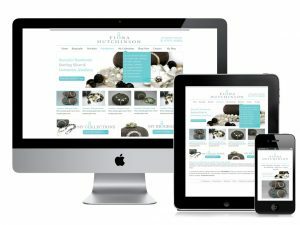 Whether you are an individual needing a basic simple website of a few pages, or a large or small business requiring a custom e-commerce shop or content management solutions, as Australian website builders we have the experience and web solutions to build a website for your business, on time and on budget.